CalPack Crating offers a full range of industry-leading products and services that provide our customers with the peace of mind they need when crating and packing valuable goods to prepare for shipping — whether across town or across the globe. With more than 50 years of combined experience in the crating and packing industry, you can count on CalPack Crating personnel to provide your business with the right crating solution and at a fair price. 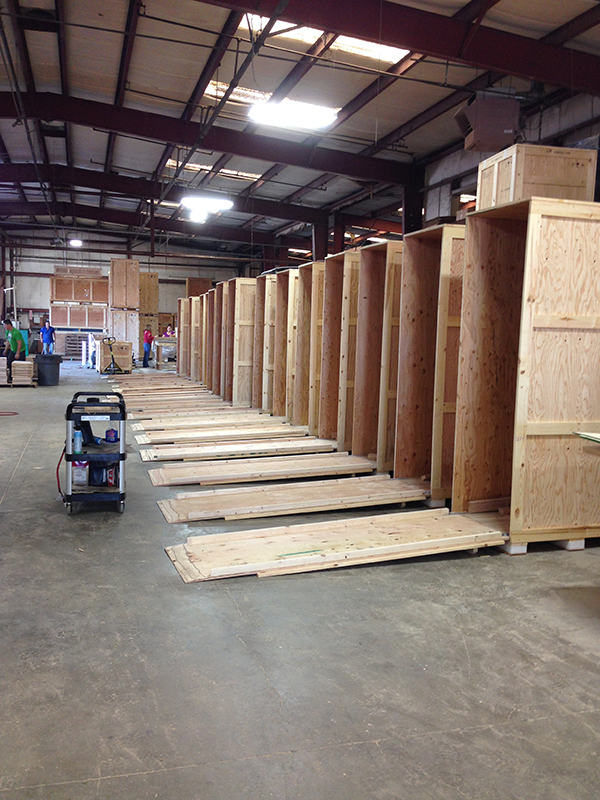 Our focus is on Custom Crating for customers located in the Silicon Valley, and the greater Bay Area. Our projects have a 100% on-time completion record! We will design and execute your project to your satisfaction. Period. No surprises or disappointments. If you can dream it, we can package it. We maintain control throughout the design and construction process to ensure that your crating and packaging projects are completed to the highest quality standards. We manage all phases of your project, from pre-design through construction and delivery. While we do not provide shipping services, we will expertly prepare your items for shipment, and can refer you to reliable shipping vendors and resources.